The orange harvest draws migrant workers to southern Italy in the wintertime. 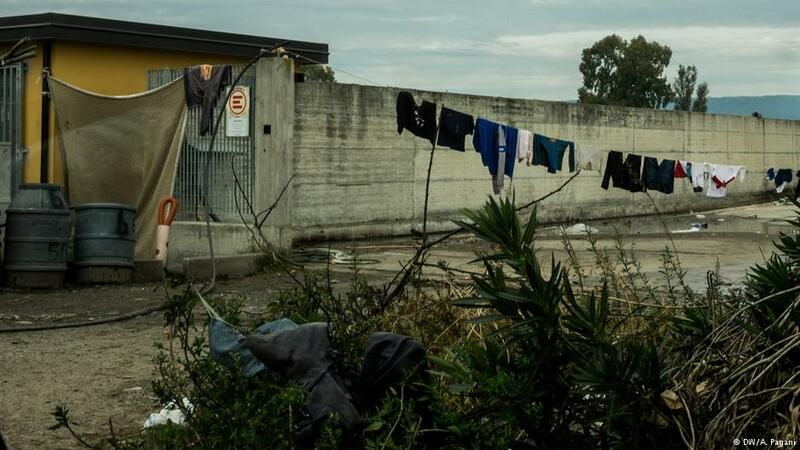 Once there, the squalid living and working conditions make most of them sick, reports Sara Manisera from Rosarno. The roads that cross Calabria’s Gioia Tauro Plain are narrow and winding. They are embedded in endless fields of citrus groves. There are few old cottages, and the street signs are riddled with bullets. It’s midwinter, and the orange and mandarin trees are laden with ripe fruit. Seasonal workers are here to collect them. Each year during the orange-picking season, thousands of migrants from Africa and Eastern Europe come to Rosarno and the surrounding countryside, looking for work in the fruit and vegetable harvests. At first light of dawn they stand in the cold along the roadside, waiting to be picked up and driven to the orchards. The figure they are waiting for is a foreman, who charges them three to five euros for the drive. Others, the lucky ones, reach the remote countryside by bicycle and avoid paying for transportation. Most of the migrants don’t work every day. Competition is very high and it’s difficult to find work without a foreman. Those who do get picked up for the day, work 12-14 hours harvesting mandarins and oranges and carrying heavy boxes of fruit. After work they return to their barracks in the dark. 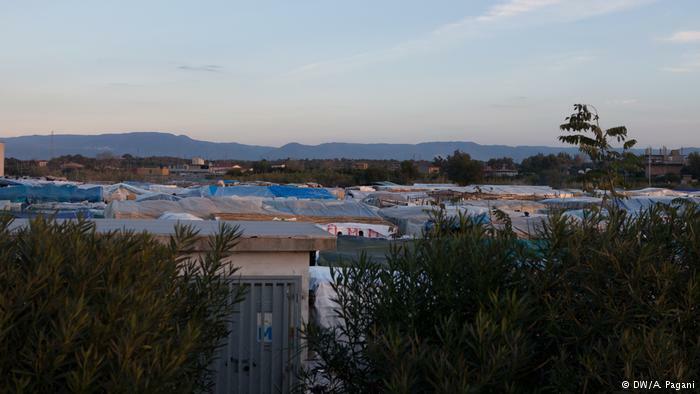 Seven years after the revolt of Rosarno, when hundreds of orange pickers protested against the way they were being treated, leaving dozens injured and several migrants dead, nothing has changed. Most of the seasonal workers, especially those from Africa, live in squalid conditions in tents, shacks or abandoned factories, sleeping on mattresses on the floor, without water, electricity or toilets. To wash themselves they must pay 50 cents for a bucket of hot water sold by other Africans who make money by exploiting the needs of the roughly 2,000 migrants living in this seasonal shantytown. In the evenings they try to keep warm by burning any material they find: plastic, wood, metal, garbage. The air is thick with wood smoke that stings the eyes and lungs. Like Kwame, most of the workers get sick from the toxic fumes they breathe in. 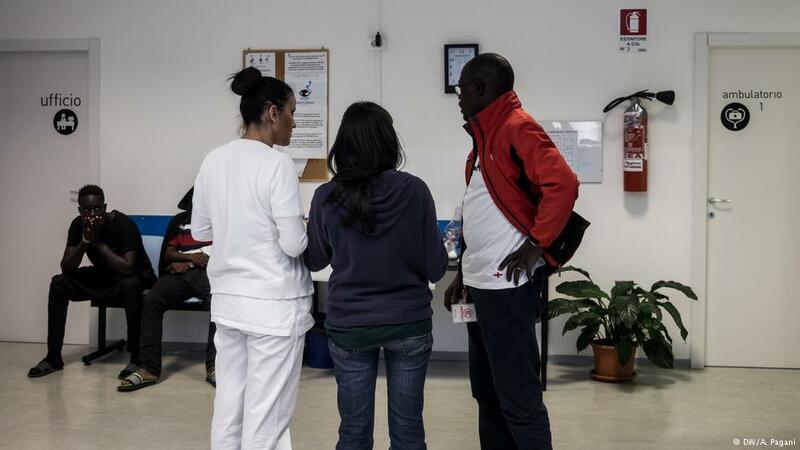 The 53-year-old from Ghana, who works in the orange harvest in Rosarno, has come for respiratory problems to the clinic of Emergency, an Italian humanitarian organization that provides free medical care, located in a building confiscated from the mafia in nearby Polistena. 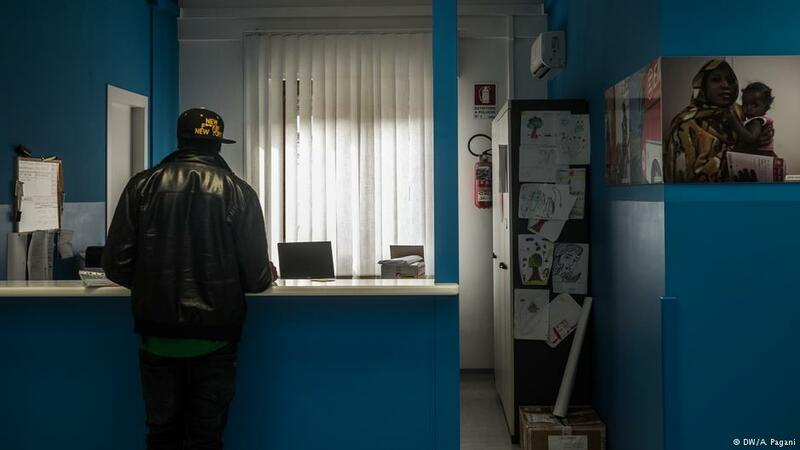 A calm and welcoming atmosphere reigns inside the white and blue painted waiting room, which is full of migrants. The wall is painted with the article of the Italian constitution that guarantees free medical care. Each day Emergency sends a shuttle into the countryside to bring migrants in need to the outpatient clinic where they can be seen by a doctor. The shuttle stops at different collection points in the middle of the fields where migrants usually work. Without the shuttle, it would be impossible for them to reach the clinic because they live isolated and far from residential areas and public transportation. 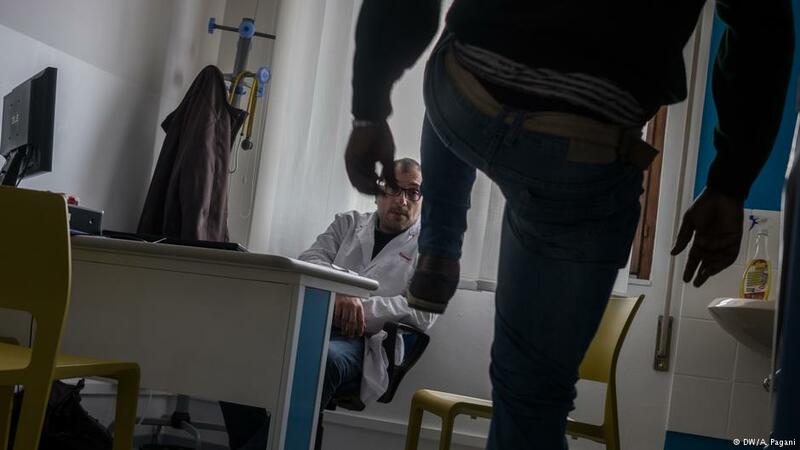 Once they arrive at the clinic, doctors and nurses attend to the most vulnerable and severe cases, while cultural mediators help the other patients with the paperwork required to get access to the public health system even without documents. Indeed, most of the patients suffer from problems directly connected to their appalling working and living conditions: respiratory syndromes, musculoskeletal pains, trauma, dermatitis and gastrointestinal disorders. On top of physical pain, many suffer psychologically. This is not the life they dreamt of when they left Africa. “Here there is no work, no good life, and it’s difficult to earn money. If I could, I would go back to my country. At least I would be with my family without the risk of getting sick,” Kwame said, touching a necklace with a cross at his throat. The mental stress goes well beyond shattered dreams. Ever more of the hundreds of workers who come to the Emergency outpatient clinic each year suffer from diseases related to psychological distress. This entry was posted in Blog, Italy, Smuggling and human being trafficking and tagged Italy, justice, Social antimafia human right, violence. Bookmark the permalink.